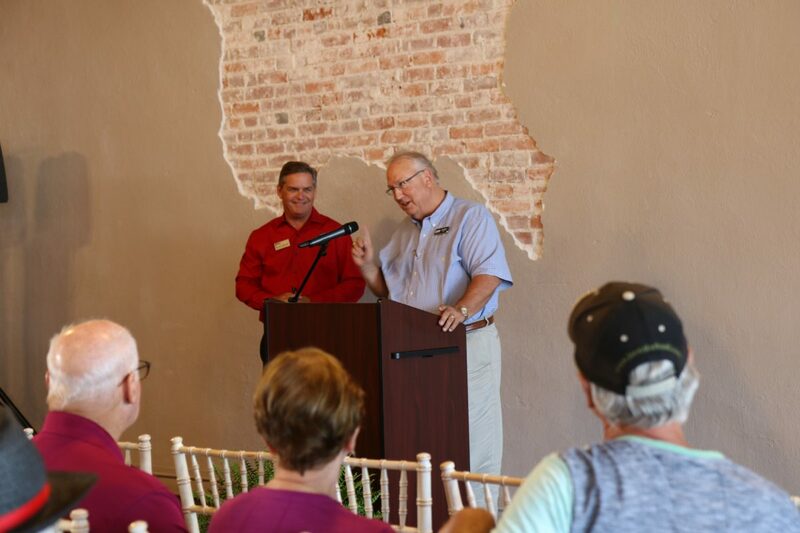 GVEC.net, a company of the Guadalupe Valley Electric Cooperative (GVEC), recently welcomed the citizens of Shiner to a community event at the Shiner Central Station to formally celebrate Fiber to the Home (FTTH) Internet coming soon to the City of Shiner. GVEC Fiber Internet in Shiner will roll out in the fall of 2018, offering local residents and businesses the fastest internet speeds available in the world. The engineering and design phases are complete and construction for the supporting infrastructure is currently underway. What Makes Fiber Internet so Fast? How Fast is Fiber? Fiber optic cables have the necessary bandwidth to deliver large amounts of data at one time to multiple devices from the internet. With speeds up to 1 Gigabit, users can easily connect with multiple devices under one roof, eliminate frequently dropped connections, and digitally stream TV, movies, music, and games with little to no buffering. Fiber-based internet gives homeowners the ability to “cut the cord” from expensive cable or satellite services and go completely digital, saving time and money. Business professionals can network employees, give presentations, transmit large files, Skype, etc. With GVEC Fiber Internet in Shiner, anything needing done at home or work online, fast and efficiently, is possible. GVEC District Director Robert J. Werner commented that he is proud GVEC.net can offer this level of technology to the community. Werner added that he looks forward to the advantages GVEC Fiber Internet in Shiner will bring to education, business, and entertainment for his friends and neighbors. GVEC.net encourages citizens living within Shiner’s city limits and interested in being among the first customers served with GVEC Fiber Internet to visit connect.gvec.net to pre-register. Sharing your interest at the site is a free, no-obligation way to verify if your address is within the fiber service zone and allow GVEC to make contact when Fiber Internet service becomes available. Shiner Mayor Fred Hilscher (right) thanks GVEC General Manager and CEO Darren Schauer (left) and leadership for GVEC.net’s commitment to bring Fiber To The Home, the fastest Internet technology in the world, to the City of Shiner by Fall 2018. GVEC is a progressive cooperative specializing in the delivery of products and services that empower the people and communities in the Guadalupe Valley. Offering dependable electricity, high-speed internet, electrician services, reliable AC/Heating sales and service, as well as solar options, GVEC serves over 85,000 consumers through five customer service locations in Cuero, Gonzales, La Vernia, Schertz and Seguin.